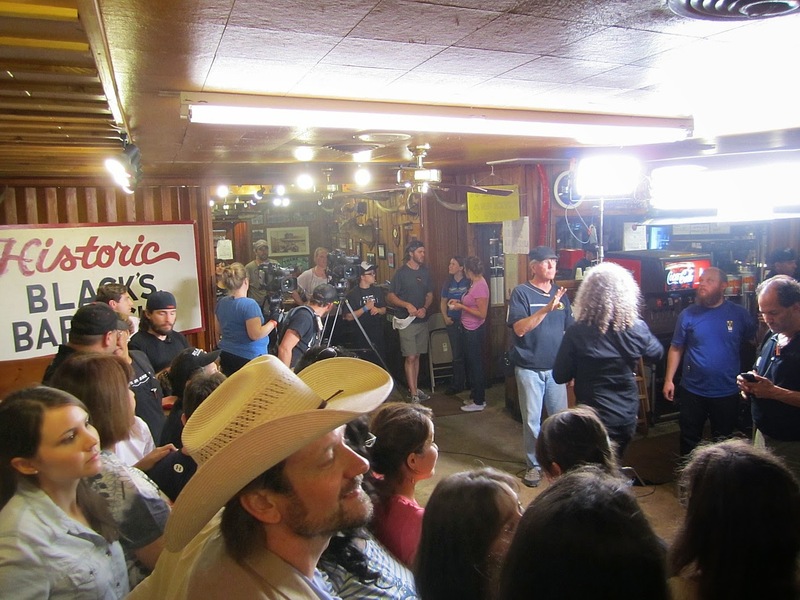 Well the TV show I went down to Lockhart for has finally aired, so now I can finally blog about the experience. Remember back in May when I went down to Lockhart for a couple of days? Well this was the TV show they were filming for Spike TV, Frankenfood. The show concept is competitors combine several different foods creating a "Frankenfood". Three judges go through multiple competitors and select the best two for a public competition. 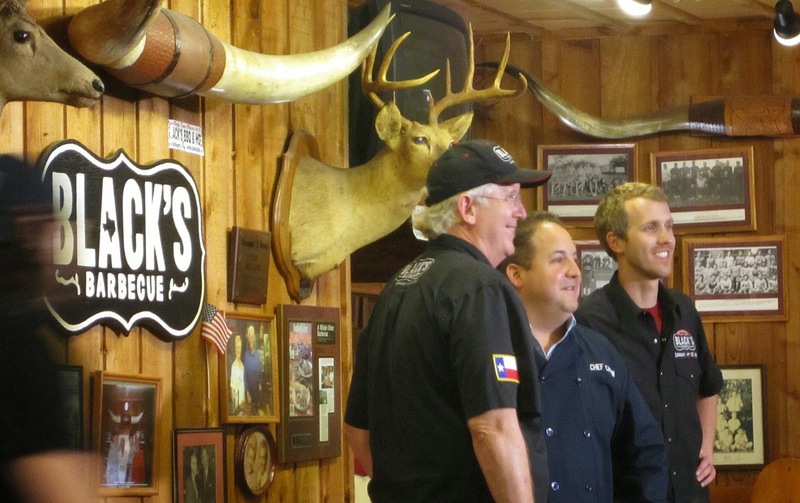 I was one of the tasters for the public event at Black's BBQ in Lockhart on May 12th. The tasters try the two "Frankenfoods" and select a winner by popular vote. The winner gets $10,000 and has their item added to the restaurant's menu. 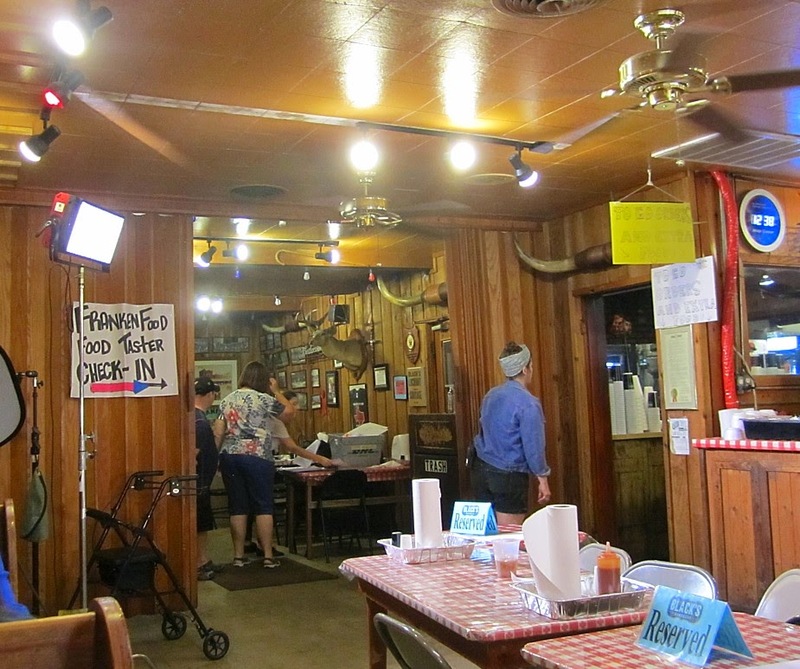 In this case, Black's BBQ in Lockhart. Where they got my name from, I have no idea, but it sounded like fun and I'm always up for a quick trip down to Lockhart. I received my invitation on May 6th from a publicist in Austin. After exchanging a couple of e-mails, the folks from Spike TV said I could blog about the experience, but I would need to wait until after the show aired. As a competition show, that seemed reasonable as they wouldn't want some dumb blogger spilling the results of the competition before the show aired. Next I traded a couple of e-mails with a production assistant with the show who confirmed my seat as a taster and asked that we arrive at Black's about 1 pm on May 12th. Scott was busy, but my buddy Dave in Austin was able to join me for the event. At this point we had no idea what we would be eating. We just knew we would be tasting a couple of different foods and would need to be around for 3 to 5 hours of filming. This was the first season of the show and no episodes had yet aired. I had dinner at Black's the night before the show and everything was normal. When we arrived the next day about 12:30 there was quite a change in the set-up. They had cleared out a big space against the wall and had lights everywhere. Tables were reserved for the tasters but the other side of the room was reserved for regular Black's customers. They kept serving through the whole event! The back room was blocked off and that's where the production crew hung out and sign in took place. The contract was pretty amazing. You basically sign your life away for the next 5 hours in perpetuity and in all mediums in the present, future, and in any other existing dimensions. Something like that. In a nutshell they own that 5 hours of my life forever. I actually read the whole thing. The production assistant was kind of surprised that I did that. Then they took our photos holding the signed contract. Wow. Lawyers were smiling somewhere. After signing in we had some down time before things actually got started. Dave had a nice lunch and we just visited awhile before things got going. They finally came around and shuffled some folks around to different seats. We were lucky and stayed in our booth. Brad and John were added to our table and after a bit of talking I was surprised to find they were part of the Man Up crew. Small world. Once everyone got their assigned seat, the director came out and told us a bit about what we would be doing. We would get the first "Frankenfood" sample, they would come around to every table and film reactions and comments, then they would serve the second sample and repeat the process. The first sample was a chocolate chip cookie thing with bacon and we ate it up. It was positively delicious. There was not a scrap of it left at our table. When the camera crew came along we gave it the appropriate kudos and the decision at our table was unanimous. Good stuff. The second sample was a waffle on a stick with bits of chicken. 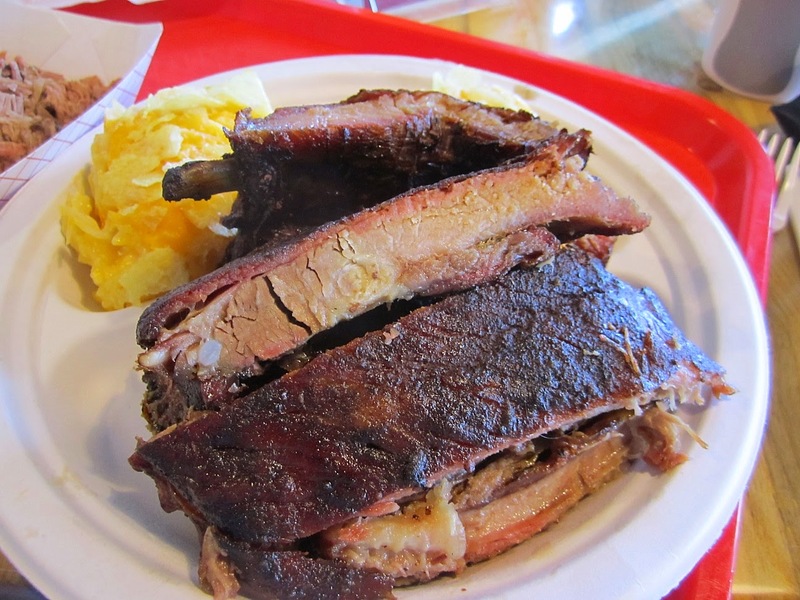 I actually thought it would make a decent breakfast food but really had no place at a BBQ joint like Black's. We all nibbled on it a bit, but there was a lot leftover. When the camera crew came around we all made our opinions known once again. After a few more shots with host chef Josh Capon, the production crew passed out ballots and asked us to choose a winner. Barrett Black came around and collected the ballots and took them to the back to be counted. 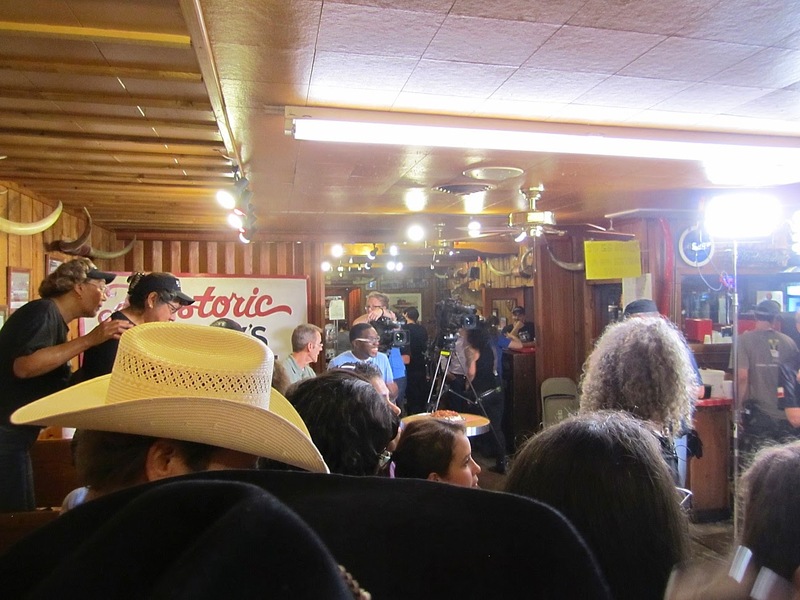 At that point we were asked to step outside so they could re-set the interior for the announcement of the final winner. We went outside for a bit, but it was pretty toasty. Some folks went over to the picnic tables to wait, but we decided to sneak back into the serving line where there was air conditioning. By this time it was after 4 pm and there were not many dining customers, so we snuck around and grabbed an empty table in the corner and waited in air conditioned comfort. They moved more tables around and reset the lighting once again to make room for the big announcement of the winner. While they were setting up they made time for a photo of Kent and Barrett Black with Josh. Finally they got everything set the way they wanted and gathered everyone back inside for the filming of the big reveal. All the tasters were lined up on the back wall and they moved some folks around, up and down, left or right, for whatever reason they do those things. There were multiple takes leading up to the big reveal and after 3 or 4 they finally got the one they wanted. Next they brought out the two competitors and filmed a few shots of them before the lid went up off the winning Frankenfood. Our favorite won, of course, and I look forward to having another taste next time I am at Black's. We knew going in that our part on the show was going to be very minimal. 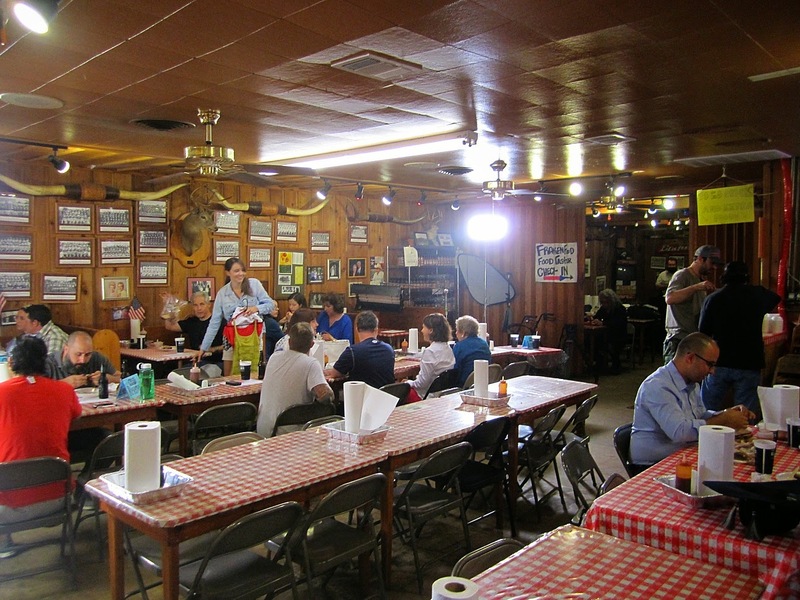 Of the 3-4 hours of filming at Black's they only used a couple of minutes for the show. Most of the show was given over to the other competitors who did not make the final cut. That's entertainment. Dave and I both watched the premier of the episode last night and I think we agreed we had a total of 2 seconds, combined, on screen, which is about what we figured. Probably more than we deserved. 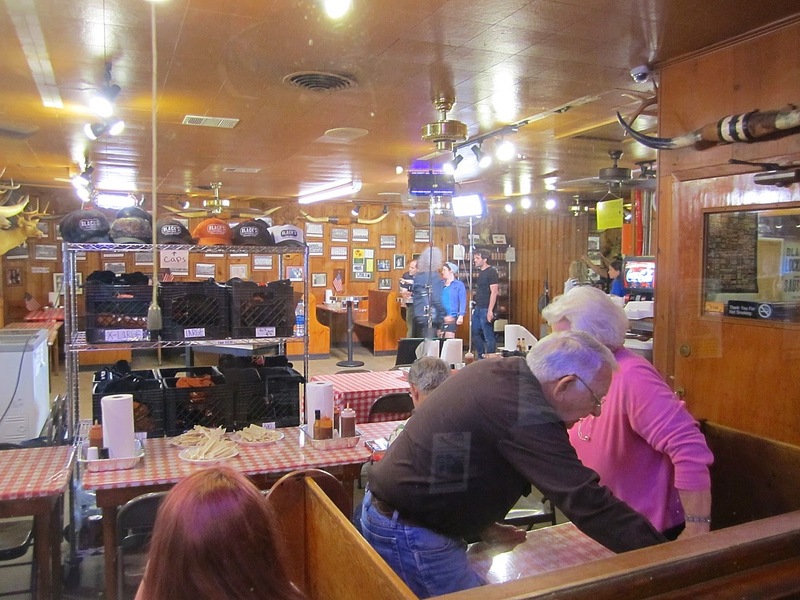 Overall, it was a fun experience, but the best part of the trip for me was eating BBQ in Lockhart, visiting with Dave, and visiting with Kent Black. 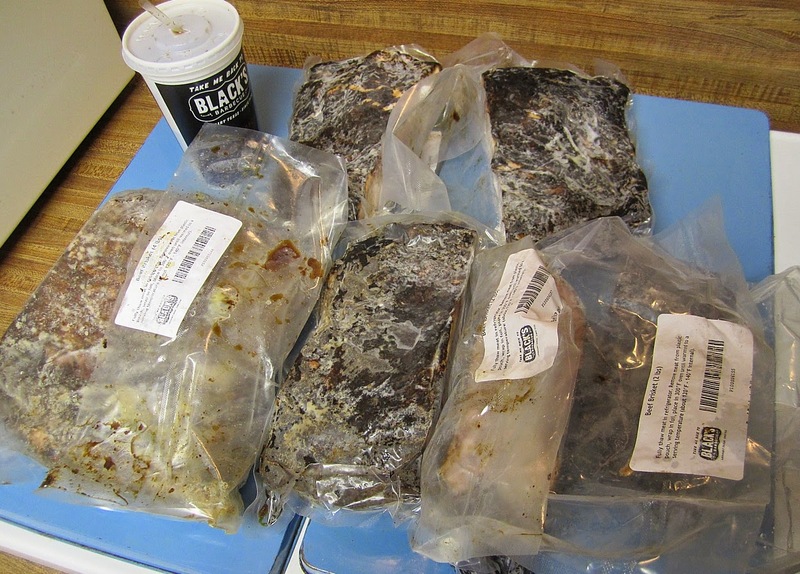 Oh, and the 14 pounds of frozen brisket I brought back from Black's! The episode will be in reruns all week and eventually will be on the Spike TV website where you can see the full episode, at least for awhile. Here's my previous post from the same trip with more BBQ, less TV show. 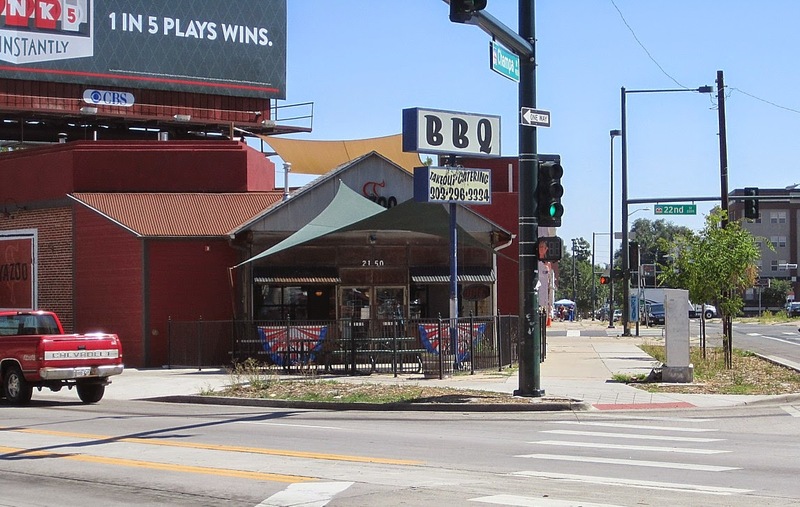 Had a quick trip to Denver this week and managed to scout one BBQ joint while visiting. 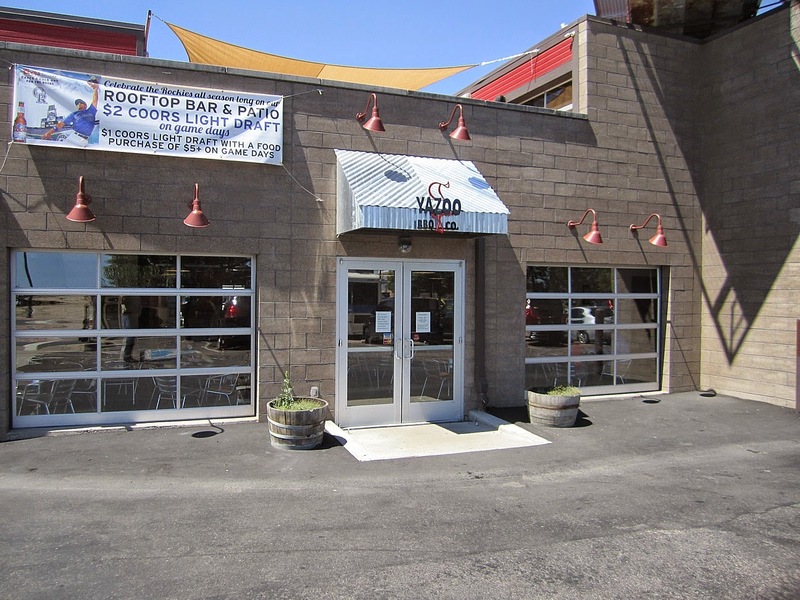 This is a 2 restaurant chain in Denver and the downtown location was just a few blocks from the hotel. I showed up just a little before noon and found the doors still locked. Hmmm. I know they were supposed to be open at 11. Then I remembered my watch was still on Central time and all became clear. I found a shady spot on the sidewalk and waited a few minutes for 11 am Mountain time. Sure enough, once I got the time zone right, they opened right on time and the few of us waiting outside moseyed in for our lunch. I ordered the rib special (which is supposed to be 4 ribs and 2 sides) plus 1/4 pound of sliced brisket. As I moved down to pay I was informed there was no longer a rib special so what I got was a half a rack of ribs. Never believe what you read on their website, I guess. Yes, it is still there today. For sides I had the cheesy fried potato casserole which mysteriously does not appear on their menu. My brisket also got chopped to death, even though I asked for sliced. Poor sad brisket. I feel your pain. The ribs were pretty nice. Good pork flavor with no hint of rub or sauce. Also no hint of smoke flavor. They were tender and moist with a good bite mark. 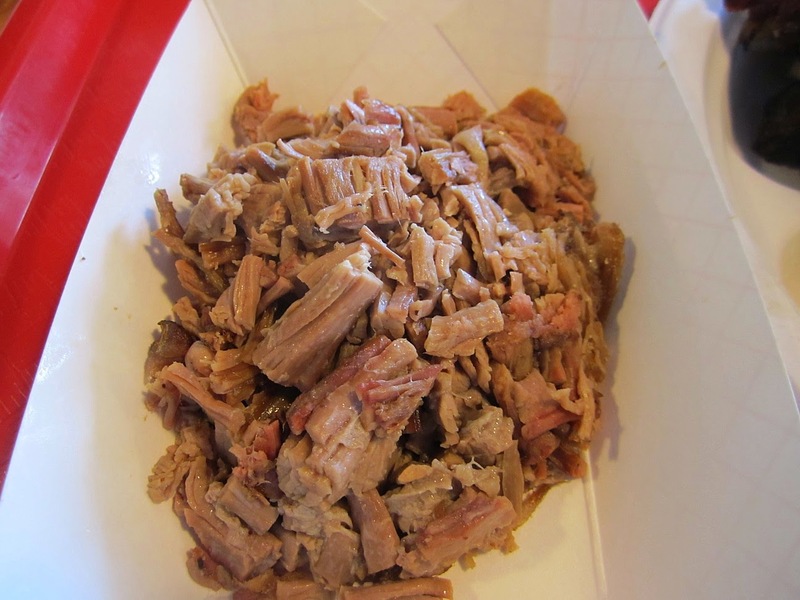 The poor chopped brisket had the simple flavor of roast beef and appeared to have every scrap of fat trimmed away before the mayhem ensued. 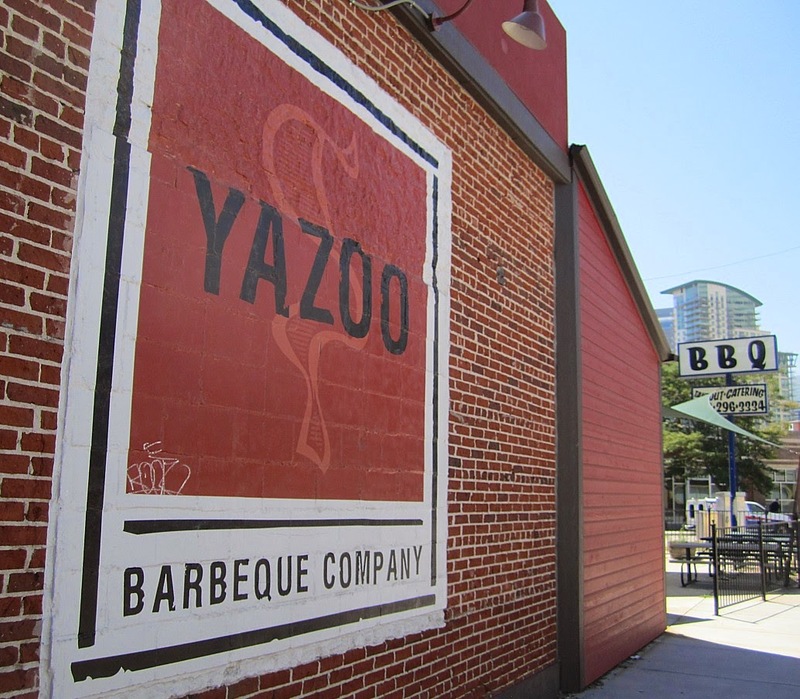 I tried both their sweet and hot sauce and that did help out the brisket a bit. I liked the potato casserole but it needed a bit of spice to jazz it up. Ok that settles it, I'm running for President! Scott caught this on CBS this morning with Wynton Marsalis and the ever present Daniel Vaughn! Saw the snob on CBS evening news last night. 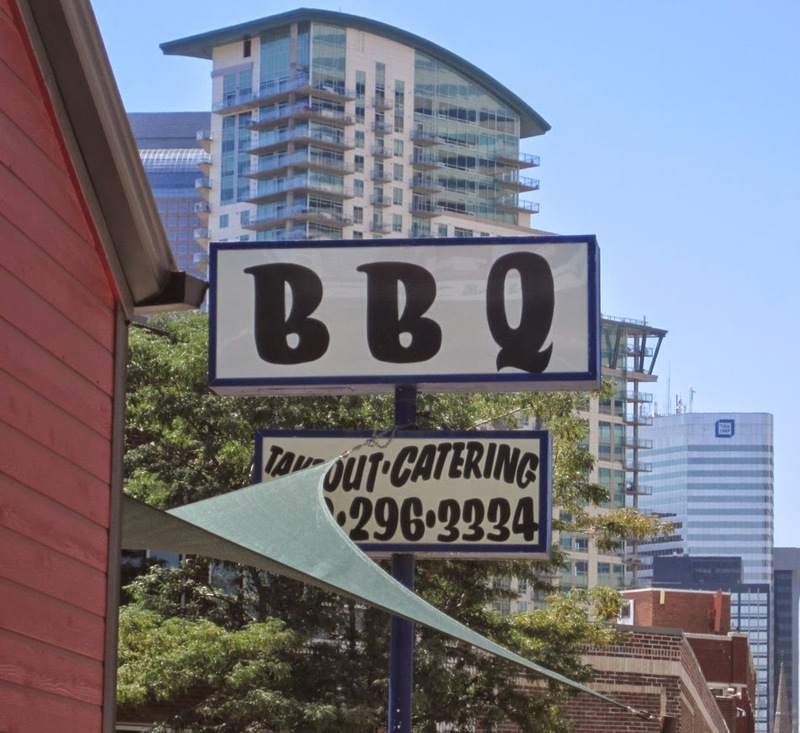 Still taking Texas BBQ to the world!